Celebrities are using Twitter more as an approach to get paid, rather than a path for users know their inner views in 140 characters or less. Their 140 character messages may take little effort. Advertisers are willing to pay up to get a piece to get the attention of their millions of followers. 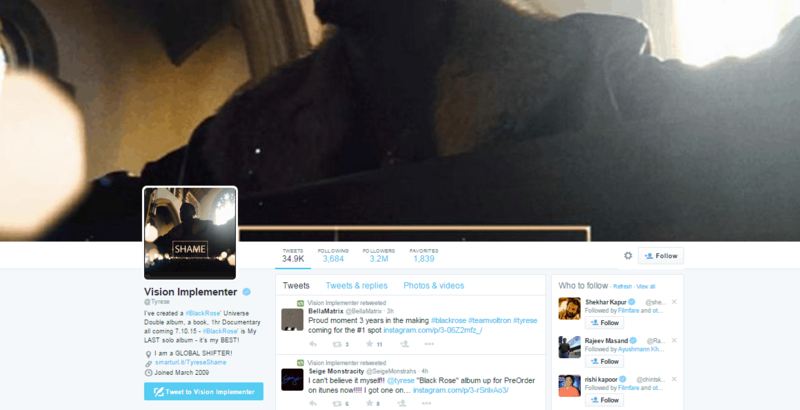 Twitter is now changing the business of celebrity endorsements. It is not extraordinary now for famous people to use their Twitter page as a celebrated Ad page. The stars with mass following and impact get paid five figures for a single sponsored tweet. DSIM put together a breakdown of how much approximately 11 different celebrities get paid to tweet. For a single tweet, the celebrity who earns the least earns $6,500. That’s Bella Thorne (@bellathorne) on Twitter where she has over 6 million followers. The best paid celebrity earns a whopping $13,000 per tweet. That’s Khloe Kardashian (@KhloeKardashian) with over 14 million followers. Actress Bella Thorne is pretty popular amongst today’s younger generation. She has more than 6.04 million followers on Twitter. Since her popularity keeps on growing, a few companies have selected to pay her to post sponsored tweets. She makes about $6,500 for each tweet she posts. 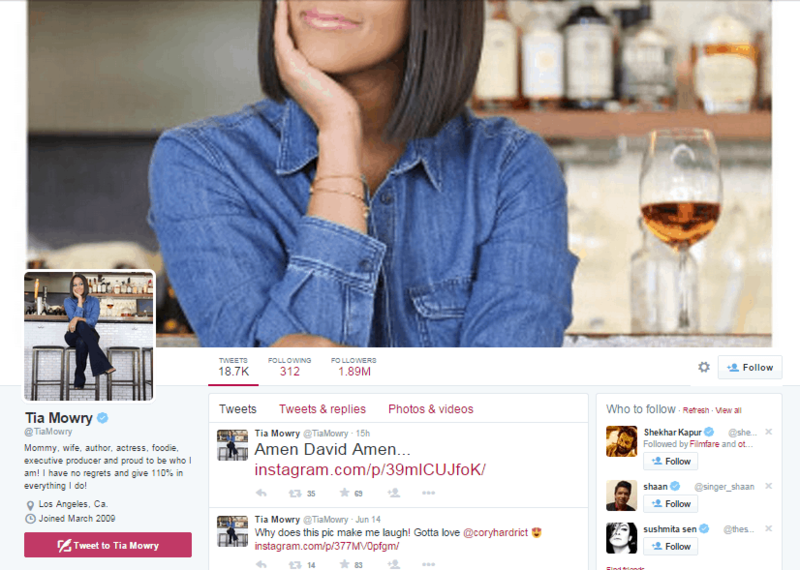 Tia Mowry gets paid $6,500 for each endorsement tweet that she conveys to her followers. She has spoken out about brands including Need Brands, BuzzFeed, and numerous others. The mother and actress has almost 1.88 million followers, which is the ideal environment for a company looking for new consumers. Another mother, bestselling author and model, to make the rundown is Kendra Wilkinson. She makes in any event $7,800 for each tweet that endorses a specific company or product. Joined on April 9, 2011, she has over 2.65 million followers. She’s endorsed several companies including Sugar Factory, Chateau nightclub, and a lot of others. The star and new mom, Nicole Polizzi better known as Snooki, gets paid $7,800 for each endorsed tweet that she posts. She’s advertised for ModaXpress as well as her own personal brand of tanning lotion, slippers, headphones, and much more. With over 6.98 million followers, she’s a good focus for advertisement tweets. Tyrese makes the same amount of Snooki accomplishes for each of his endorsement tweets. At $7,800 per tweet, the singer and actor ledger is presumably growing really well at this moment. With almost 3.19 million followers, the companies and products that he endorses are liable to be developing right along with him. Calvin Cordozar Broadus Jr., best known by his stage name Snoop Dogg, is an American recording artist and actor makes $6,500 with every endorsement tweet that he posts. With more than 12.3 million followers, his advertising tweets are bound to reach plenty of new consumers. Rapper Snoop Dogg gave props on Twitter to an ad for the Toyota Sienna minivan and he has endorsed several companies in her tweets. Melissa Joan Hart is an American actress, television director, and television producer is reported to make $9,100 for each sponsored tweet that she posts on Twitter. Her page has grown to almost 608,092 followers, a number that sponsors have definitely zoned in on. She has endorsed many companies. Carlos Irwin Estévez best known by his stage name Charlie Sheen is an American actor. Sheen was the highest paid actor on television and had earned US$1.8 million per episode of Two and a Half Men. Charlie Sheen makes $9,500 per tweet. The actor has made plenty of endorsements on Twitter. Kimberly “Kim” Kardashian West is an American television and social media personality, socialite, and model. Kim Kardashian can make more than the average American in three sponsored tweets. Kim banks a pretty $10,000 each time she posts an endorsed tweet. She’s got more than 32.6 million followers and that only means sales for each company she endorses. Jared Leto is an American actor, singer, songwriter, and director. Singer Jaret Leto profits with his tweet as Khloe Kardashian. He pulls in $13,000 with each sponsored and endorsed tweet that he posts. With a million followers and growing, it’s pretty much promised that his endorsement tweets will acquire new customers. Reality princess Khloe Kardashian stands as one of the highest paid celebrities when it comes to Twitter. She’s apparently paid $13,000 per tweet in endeavors to advertise for different companies. That implies each character she posts in an endorsed tweet is worth about $91. With more than 14.5 million followers, her sponsors are bound to find a few new customers.